It isn’t always easy for large businesses to recycle their plastic waste. Unlike individuals, many businesses don’t have the luxury of free plastic collections each week. There is big financial pressure to dispose of plastic waste in the most economically beneficial way. This means recycling where possible but not ruling out the option of landfill. Plastic scrap can seem a liability. Every delivery generates huge volumes of packaging materials that it then costs you to dispose of. 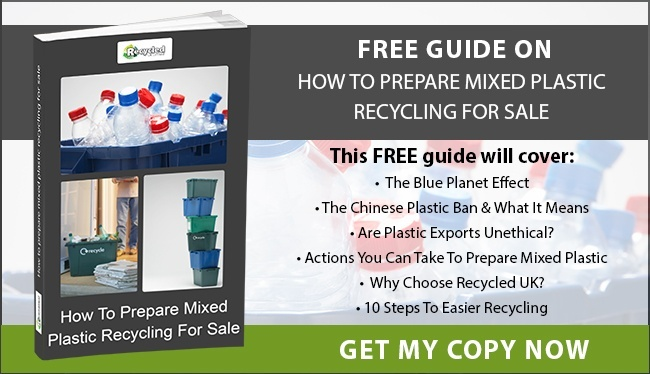 However, a lot of plastic recycling companies are prepared to pay you good money for different grades of plastic. This offsets the cost of recycling and the money charged by your suppliers for packaging. Rebates for separated, clean plastics can be high. For instance, you could reclaim up to £240 per tonne for used polypropylene (PP) pallets and crates, and £200 per tonne of LDPE shrink wrap and packaging film. These rebates are expected to rise over the next few years as demand for recovered plastics increases. Some recycling companies attempt to charge you for taking away waste. Don’t fall for this – seek out a management partner that gives you the rebate you deserve. Recycling your plastic waste is an opportunity to boost your green credentials and lower your carbon footprint. It’s simply a matter of reducing the volume of plastic sent to landfill. The more material that can be reused (and reused and reduced again in many cases) the fewer raw materials and fossil fuels are used to make virgin plastic, and the less waste ends up in the oceans. This isn’t just altruism. You can market your commitment to environmental sustainability to attract customers and build a reputation for corporate responsibility. The Producer Responsibility Obligations (Packaging Waste) Regulations (2007) oblige high volume producers of packaging waste to recycle a specified percentage of their annual output. The current public sensitivity to plastic pollution makes further legislation almost inevitable. Recycling your industrial plastics via a reputable waste management company helps ensure your business remains compliant. There are many benefits to a streamlined plastic recycling strategy. To find out more please get in touch with one of our team today on 0845 6032397. Our two free e-books also provide valuable advice. 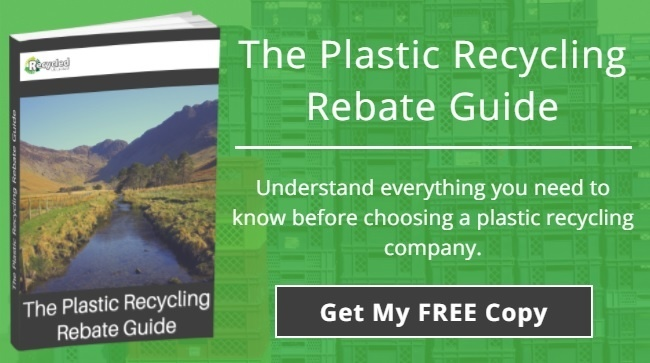 Follow the links to download The Plastic Rebate Guide and How To Prepare Mixed Plastics For Sale. 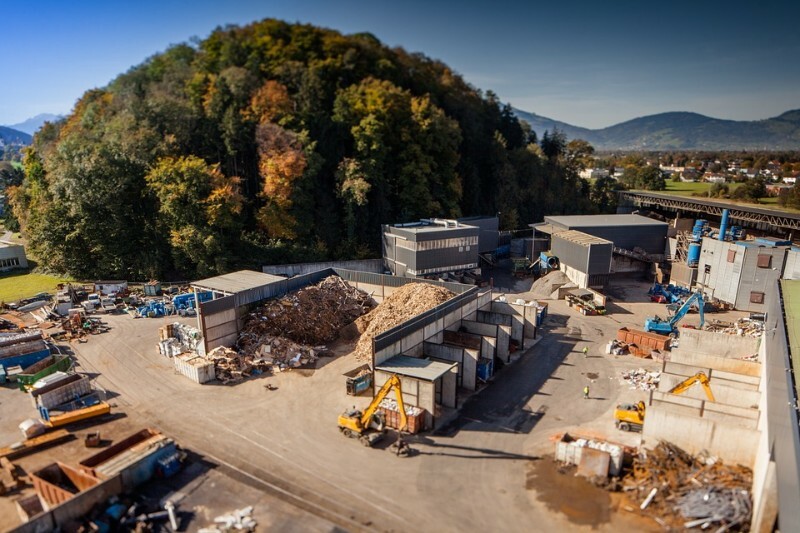 Established in 2006, Recycled UK has evolved into one of the country’s leading providers of total waste management solutions. The management team of Paul Green, Paul Cotton and Sue Green boasts 75 years’ experience in industry and has used this knowledge to create a range of tailored recycling services for customers from every sector imaginable.